EPA leaned heavily on input from Republican politicians and advocacy groups in devising membership standards last year for its sprawling network of advisory committees, according to more than 700 pages of records released late yesterday in response to a federal court order. But the documents, collectively labeled the "administrative record," offer little evidence of efforts by agency officials to weigh concerns from mainstream scientific or technical organizations before issuing the standards as part of an October directive. Most notably, the new rules bar current recipients of EPA grants from serving on the Science Advisory Board (SAB) and other panels. While EPA Administrator Scott Pruitt has said the ban is intended to foster the "objectivity" of panel members, critics label it a pretext for keeping qualified scientists off the panels in favor of more industry-friendly participants. The policy has prompted three lawsuits. Senior U.S. District Judge William Pauley III ordered the release of the records in response to a challenge brought by the Natural Resources Defense Council in the Southern District of New York. In an accompanying statement, Richard Yamada, deputy assistant administrator at EPA's Office of Research and Development, said the records make up "a true and complete copy of all documents and materials considered by EPA" in issuing the directive. Attempts to get further comment from NRDC and EPA were not immediately successful. While EPA has almost two dozen advisory committees, with portfolios ranging from toxic chemicals to environmental justice, the administration's focus was mainly on two, the records show. In a 2014 letter, for example, House Science, Space and Technology Chairman Lamar Smith (R-Texas) complained to then-EPA Administrator Gina McCarthy of "a troubling lack of independence and transparency" by the Clean Air Scientific Advisory Committee (CASAC) panel that was reviewing the adequacy of the agency's ground-level ozone standard. 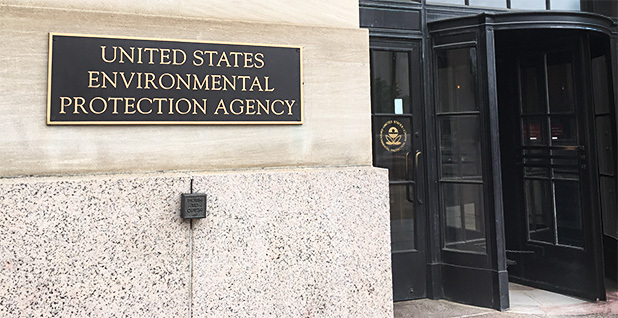 The records also include a bill introduced last year by Rep. Frank Lucas (R-Okla.) to overhaul the membership criteria for the SAB, which provides outside expertise to EPA on a range of issues. The bill, which passed the House last year but has since languished in a Senate committee, contains a modified version of the ban on service by EPA grant recipients later adopted by Pruitt. Also included are two 2016 letters to McCarthy from Sen. Jim Inhofe (R-Okla.), criticizing the selection process and makeup of the CASAC, which advises EPA during statutorily required reviews of the air quality standards for ozone, particulate matter and four other common pollutants. Inhofe, like Smith, was critical of EPA's 2015 decision — made with CASAC's backing — to tighten the ozone standard to 70 parts per billion. In one letter, Inhofe voices concerns about the "lack of fresh perspectives" on the CASAC. In the other, he specifically objects to the nomination of Donna Kenski, who had previously served on the committee from 2008 to 2010. McCarthy nonetheless picked Kenski, director of data analysis for the Lake Michigan Air Directors Consortium, for the committee. Pruitt, however, removed her last fall after issuing the new standards. The October directive included a section on the need for promoting fresh perspectives; Pruitt has also effectively ended an informal tradition whereby CASAC and SAB members were reappointed to a second three-year term after serving their first. That change, coupled with normal turnover and the grants ban, has allowed Pruitt to make significant changes in particular to the composition of the SAB. Also in the administrative record are several letters from Clint Woods, then the executive director of the Association of Air Pollution Control Agencies, which is made up mainly of regulators from Republican-leaning states. Woods, now the deputy chief of EPA's air office, in one 2016 letter urged EPA to "include significant state, local, or tribal participation and diverse geographic backgrounds" in choosing CASAC members. Pruitt's directive addresses both of those issues. Other documents in the file include a letter from a top executive with American Fuel & Petrochemical Manufacturers, along with 2015 congressional testimony from officials with the Environmental Working Group and World Environment Center. In that testimony, both officials expressed concerns about congressional attempts to overhaul the advisory board along the lines advocated by Lucas. Notably absent from the administrative record is any consideration of input from groups like the American Association for the Advancement of Science (AAAS), which bills itself as the world's largest general scientific society. In an email yesterday, an AAAS spokeswoman said the group had not been consulted by EPA in developing the new membership standards. She also forwarded a October statement by the association's CEO, Rush Holt, condemning the prohibition on service by EPA grant recipients. "Given its desire to limit expert perspectives and the role of scientific information," Holt said, "we question whether the EPA can continue to pursue its core mission to protect human health and the environment."